Sgt. Fanuaee Vea, left, embraces Pvt. 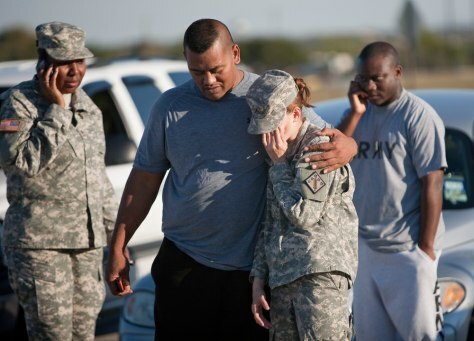 Savannah Green outside Fort Hood on Thursday after the killings.